The invasive tegu lizards are known to eat the eggs of some of Florida's native wildlife. Recently scientists discovered gopher tortoises, a Threatened species, in some tegu stomachs. Not all invasive species are big, scary pythons. These monk parakeets threaten Florida's native birds. A Burmese python was captured in this photo beneath the nest of white ibis in Everglades National Park near Tamiami Trail. They discuss efforts to reduce populations of argentine tegu lizards in the Riverview area and Nile monitor lizards in Cape Coral. One recent update about the tegus, Todd Campbell said, is that his team found gopher tortoises in the stomachs of tegus they trapped. Gopher tortoises are a protected species that the Florida Fish and Wildlife Conservation Commission lists as Threatened. We learn how some past efforts to control invasive species have backfired. Todd Campbell cited cane toads as an example. These toads were introduced in sugar cane fields in the early 20th century to deal with an invasive pest. The populations wound up exploding and the toads are now a threat to native wildlife and household pets. We talk about some success stories the NWRC has had in Florida. John Humphrey said members of his team helped to seemingly eradicate the population of sacred ibis, an exotic African bird, in South Florida after individuals escaped from the Miami Zoo during Hurricane Andrew. He said these nest predators haven’t been sighted in Florida for five years. Humphrey noted that education about invasive species needs to improve so more people understand that it's not just pythons and poisonous toads that can threaten Florida's wildlife. Attractive animals like the purple swamphen, another exotic bird, can also pose a risk to native species. Both Humphrey and Campbell stressed the importance of early detection and rapid response. They said only in the last couple decades did wildlife groups start taking a more proactive approach to controlling invasive species. One result of this change was the creation of the invasive species hotline. People can call the hotline and report any sightings of plants or animals they believe may be invasive species about and wildlife experts can determine whether action needs to be taken. The number is 1-888-IVEGOT1, or 1-888-483-4681. There is a smartphone app for reporting as well. 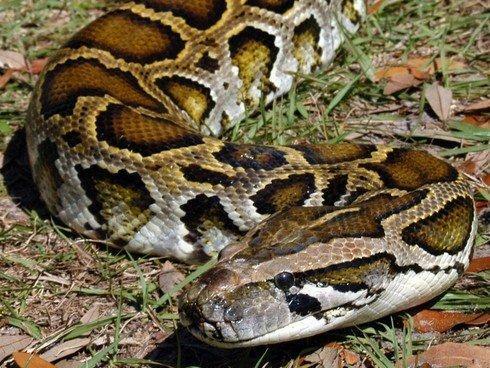 Researchers say invasive Burmese pythons are threatening wading bird nests in the Florida Everglades. The U.S. Geological Survey, USGS, is collecting DNA to track a new snake hybrid in the Everglades. A Florida family is terrified of a huge Monitor lizard that has taken up residence in their back yard. 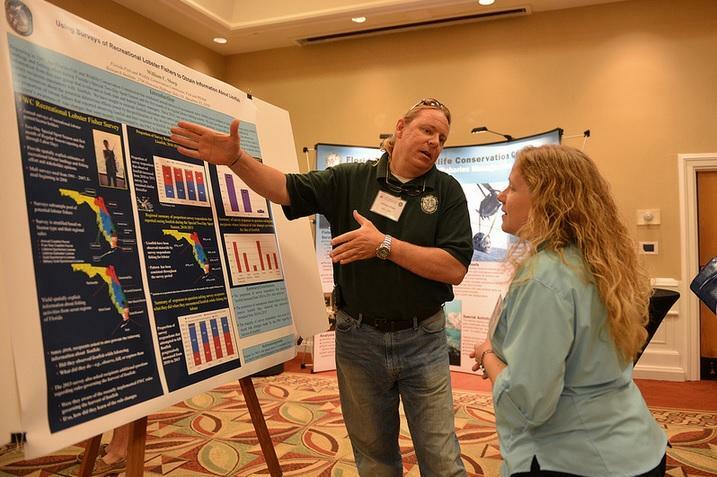 Florida’s wildlife agency will be holding a lionfish summit in the Fall. The goal is to find more ways to get rid of the spiny invasive species plaguing state waters. 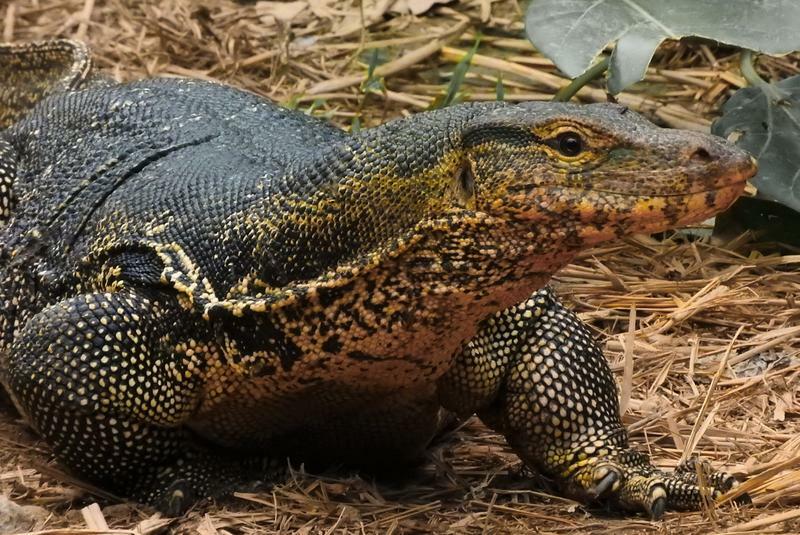 Giant lizards called Argentine black and white tegus are coming out of hibernation right now -- and they're in the Tampa Bay area. Wildlife officials say the invasive species eat everything -- including the eggs and hatchlings of native animals that conservationists are trying hard to protect.